1) What's something that seems to fascinate everyone else, but you just don't care about? 2) The lyrics refer to "the times we cried and laughed." Which did you do more recently, cry or laugh? 3) In the song, our hero seems surprised that his girlfriend doesn't believe him. Are you more believing and trusting, or suspicious and skeptical? 4) This song is just over two minutes long, which seems short for a song but awful long when Sam is waiting for her chicken soup to heat in the microwave. What's the last thing you heated in a microwave? 5) This week's band, The Buckinghams, was one of the first acts to perform at Chicago's premiere summer festival, The Taste of Chicago. * Let's think ahead: Have you made any plans for Summer 2016? 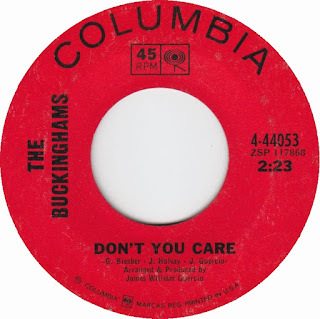 6) In 1967, when this song was popular, Rolling Stone magazine published its first issue. What magazines do you subscribe to? Do they arrive in the mail, or do you read them online? 7) Country star/American Idol judge Keith Urban was born in 1967. Are you watching the final season of American Idol? 8) In 1967, the average cost of a movie ticket was $1.25. By 2015, it had risen $8.60. What's the last movie you saw in a theater? 9) Random question: Sam's taking everyone out to dinner and she's buying. Would you prefer the steak or the lobster? 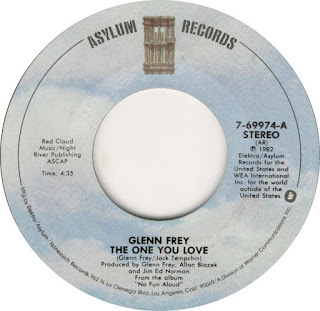 1) In this song, Glenn explores one of the great romantic conundrums. This week, Saturday 9 is confronting it, too. If you had to choose, would you prefer to be loved, or to be in love? 2) The song describes an awkward moment: an old boyfriend calls when a woman is on a date with someone new. To whom did you last say, "I can't talk now?" 3) The lyrics talk about heart vs head. When you find yourself in that predicament, which usually wins -- heart or head? 4) This song was from Glenn Frey's solo album, No Fun Aloud. What fun stuff are you looking forward to this weekend? 5) Glenn Frey was born in Royal Oak, a suburb of Detroit. The Motor City is known for car manufacturing. Is your car domestic or foreign? 6) The popular 1990s sitcom Home Improvement was set in Royal Oak. Are you handy around the house? 7) Glenn Frey co-founded The Eagles in 1970. What's your favorite Eagles song? 8) The Eagles helped define "California Rock," but in recent years Glenn and his wife lived in Tribeca. Have you ever been to New York? If so, did you like it? 9) Glenn wrote "Smuggler's Blues" and "You Belong to the City" for the iconic 1980s TV show, Miami Vice. What else comes to mind when you think of the 80s? In memory of David Bowie (1947-2016). 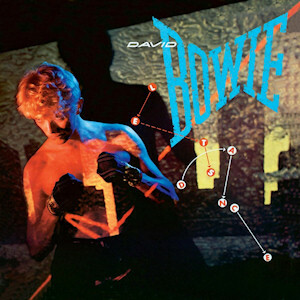 1) In this song, David encourages his partner to "put on your red shoes and dance." When did you last dance? 2) Mr. Bowie recalled that he and choreographer Toni Basil developed a dance step now known as "the moonwalk" for his 1974 tour, nearly a decade before Michael Jackson performed "Billie Jean." Can you think of something you should have gotten credit for, but didn't? 3) Similarly, the band Roxy Music was upset because Bowie copied their "catsuit look" for his own stage wardrobe and made it famous. What do you usually wear, Monday through Friday? 4) David Bowie was particular about the aftershave he wore, and one of his favorites was by Guerlain. Do you regularly apply cologne or aftershave? 5) In school, David's best subject was art. Think back to your own school days. In which class did you excel? 6) In addition to art and music, David Bowie displayed a keen head for business, leaving a fortune of more than $600,000,000. Would you describe yourself as "good with money?" 7) Bowie also appeared in a variety of movies from The Man Who Fell to Earth to Zoolander. Who is your alltime favorite movie actor? 8) One of Bowie's hits is "Life on Mars." If you had the opportunity to travel into space, would you take it? 9) The creators of SpongeBob Square Pants are huge Bowie fans and were thrilled when, in 2007, he appeared in an episode. Sam suspects that she may be the only person who hasn't seen that cartoon show. What about you? Have you ever watched an episode of SpongeBob, start to finish? 1. Think back to Friday. Did it fly by? Or did you find yourself checking the clock and wishing it was 5:00? 2. This song refers to the 5:00 whistle that signifies the end of the work day. What's the last whistle, alarm or buzzer you heard? 3. 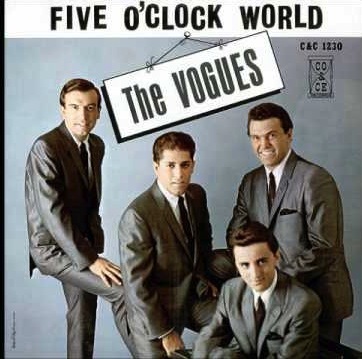 In the 1960s, the Vogues often appeared on TV variety shows to promote their record albums. Do you have the TV on now, as you answer these questions? 4. "Vogue" means "popular or fashionable." 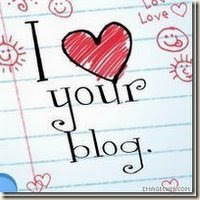 Tell us about something that you feel is in vogue today. 5. Vogue magazine reported that the big Fall/Winter trend was brocade. Describe the latest addition to your Fall/Winter wardrobe. 6. Vogue editor Anna Wintour is such a difficult boss that disgruntled employees nicknamed her "Nuclear Wintour." What qualities do you think make a good boss? 7. Ms. Wintour was rumored to be the inspiration for the character of Amanda in the book and movie, The Devil Wears Prada. Did you receive any books or movies for Christmas 2015? Did you receive any gift cards that you then used for books or movies? 8. "Vogue" was also a dance, made famous by Madonna in her 1990 hit by the same name. Can you name another Madonna song? 1) Have you ever ridden in a sleigh? 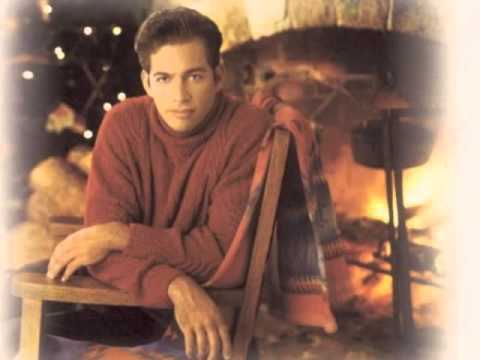 2) This recording is from Harry Connick Jr's best-selling CD, When My Heart Finds Christmas. This year, did you add any new holiday songs to your personal collection? 3) Harry was born and raised in New Orleans, a city that seldom sees snow. Have you had enough snow to shovel so far this winter? 4) Speaking of weather, Harry hosted a mini-series on The Weather Channel called 100 Biggest Weather Moments. Do you frequently check The Weather Channel? 5) Harry's mother was a very impressive woman -- a lawyer, judge and Louisiana Supreme Court justice. Tell us about someone in your family of whom you're very proud. 6) Happy New Year! Now that Christmas is over, are you done with holiday music and decorations? Or are you sad to see the holidays end? 7) The New Year's Eve fireworks celebration in Sydney, Australia is famous for coordinating pyrotechnics and music. Have you ever welcomed the New Year in another country? 8) Do you have any New Year's Resolutions for 2016? 9) Looking back on 2015, what surprised you?